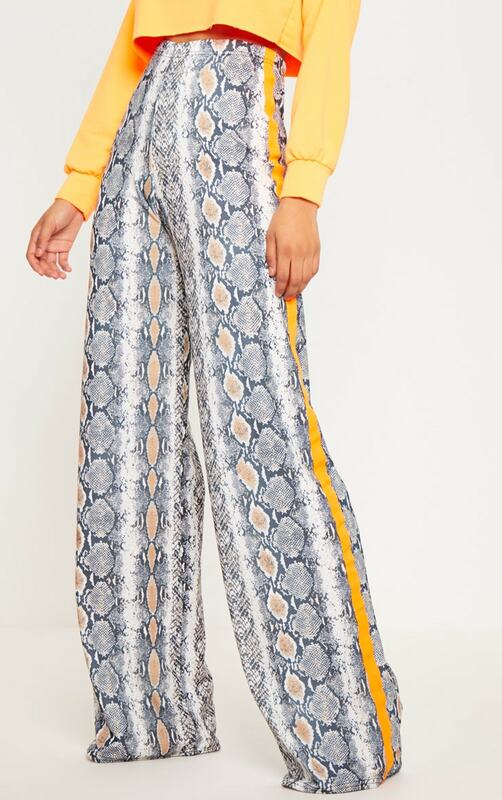 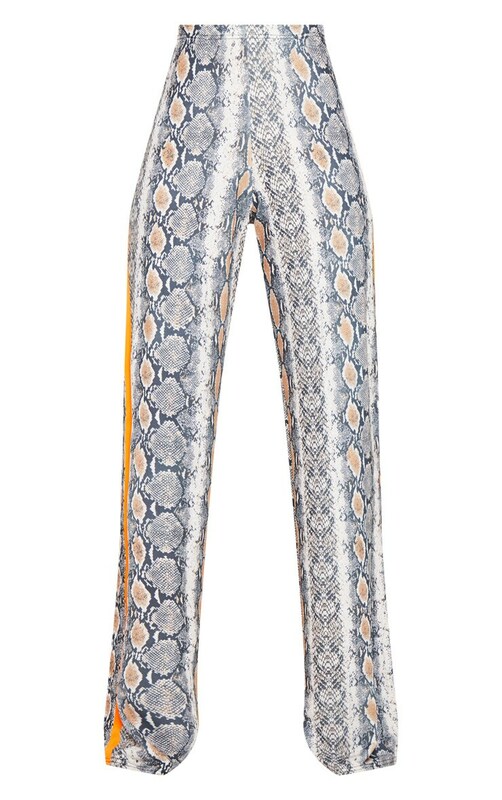 We are obsessing over all things animal print right now and these pants are at the top of our hit-list. 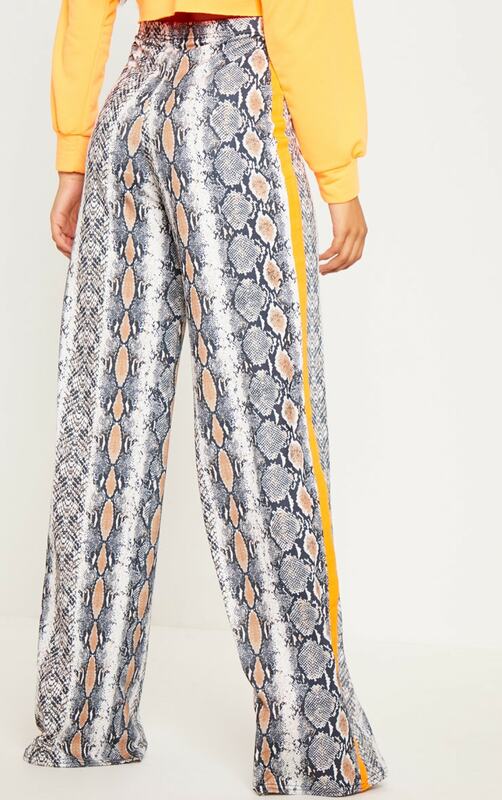 Featuring a snake print fabric with a neon orange stripe down the side and wide leg fit, what's not to love? 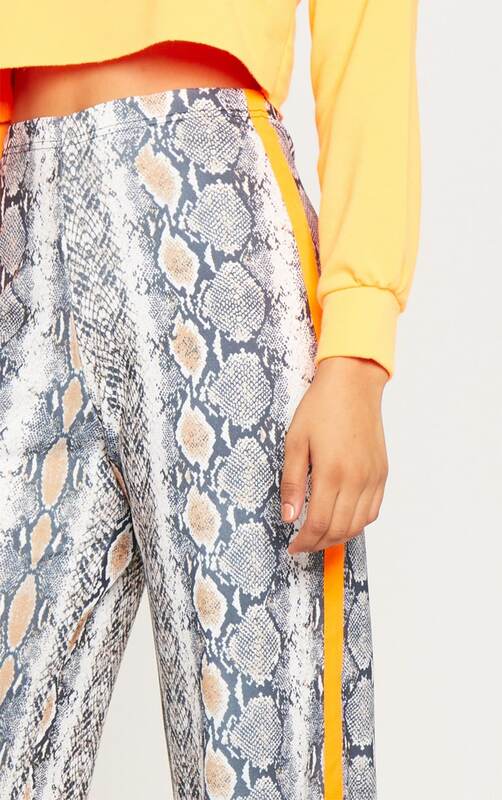 Style with a neon orange cropped top and complete the look with sock boots.